They ran for their lives and they’re back for more. That’s just the way The Fray rolls, or rather, runs. The Colorado quartet consisting of Joe King, Isaac Slade, Dave Welsh, Ben Wysocki is prepping their fourth studio album and followup to last year’s Scars & Stories. “Love” is our first taste of that, with a likely album release very late this year or early next year. Enjoy! Listen to “Love Don’t Die”. 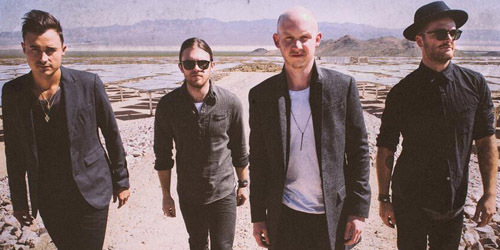 / See The Fray on Livestream beginning at 5:30 PM EDT. / Buy “Love Don’t Die” on iTunes.